Reck Agri Realty & Auction is committed to being on the leading edge to better serve our clientele and the agricultural community. To support and enhance the services we provide, we partner with professionals outside of our organization who are the best at what they do in their area of expertise. We are proud to introduce our Valued Partners. 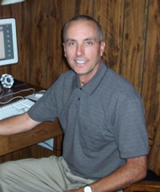 John Korrey has cried our real estate auctions in Colorado since 1988. John is one of the most sought after auctioneers known for his distinctive voice, clarity, rhythm, chant and professionalism with over 35 years of auctioneering experience. He has also produced the auctioneering teaching DVD: “Chant of a Champion”. He is a graduate of Reisch Auction College and Bilingual Auctioneer School. 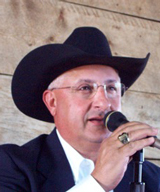 Honors include: 2009 – Inducted into the Colorado Auctioneer Hall of Fame; 2002 – World Livestock Auctioneer Champion; 2002 – Greater Midwest Champion Livestock Auctioneer; 1998 – International Auctioneer Champion; 1992 – Colorado Champion Auctioneer John was born, raised, and continues to live on the farm by Iliff, CO with 2 married children and 5 grandchildren. 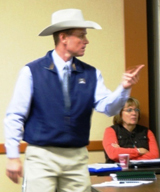 Mat Lewis has cried and has been a ringman for our real estate auctions in Colorado. He is known for his enthusiasm and professionalism. Mat was raised on a farm in northeastern CO. Graduated with degree in Animal Science from Colorado State University; obtained Masters in Animal Science with Emphasis in Beef Cattle Management and Ruminate Nutrition from University of Minnesota; graduate of World Wide School of Auctioneering. Purebred Cattle Livestock Judge (has judged at National Cattle Shows across the country), Manager of Premier Livestock Sales Management; and owns and operates Lewis Limousin Farms. Mat lives on a farm near Iliff, CO with his wife, Wendy, and they have 4 children. Russ Moraveccried real estate auctions in Nebraska for Reck Agri Realty & Auction. Russ is known for his distinctive chant, professionalism, integrity, sincerity, and communicates well with the crowd. After graduating from David City Aquinas, NE Russ attended the University of Nebraska. 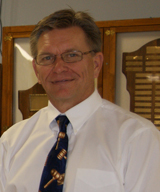 Has had Real Estatei license since 1981, and attended auction school in Billings, Montana. Russ is one of the most sought after auctioneers, selling at the Omaha Auto Auction, weekly livestock auctions at the Columbus Sales Pavilion in Columbus, NE, real estate auctions, and charity events. Russ and his wife, Diane, own Moravec Auction Co LLC, raised 3 sons in the auction business, and are very active in their community. Honors include 1986 Nebraska State Auctioneer; 1991, 1992, & 1993; International Auctioneer Competition runner up in 2010 and the past President of the NE Auctioneer Association. Page Johnston, of Johnston Real Estate out of Wauneta, NE, has partnered with Reck Agri Realty and Auction on several auctions located in Southwest Nebraska. Page brings 30+ years of sales and appraisal experience of agricultural, residential, and commercial properties throughout Southwest Nebraska. Nebraska licensed real estate broker and certified general real property appraiser. Page has an impeccable reputation for his work and business ethics in addition to his vast knowledge of the real estate market.